Discussion in 'Business Models, Niches, Industries' started by paul.waker, Jul 25, 2018. I made the only intro on this forum but it doesn`t matter. 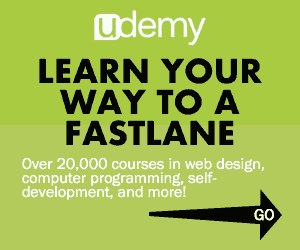 Much of fastlaners said that it is too easy to make business on Amazon, to create websites and other stuff like this. Could you say what is the hardest way to make business, where much people have no experience, have not special knowledge, what is the most annoying you when you use your computer, the Internet, other electronic devices, what you need but this stuff is hard to search, will be thankful for your advices, suggestions so much, thank you for your time. From my experience, I'm not looking for the hardest way to make a business but rather what needs exist that aren't properly being met. How could you skew value to stand out among the competition? The better question might be, how can you provide value to those around you in such a way that they will be happy to pay you for your product/service (and tell others about you)? ZF Lee, AgainstAllOdds, Will-v-the-World and 1 other person like this. At first, thank you so much for your reply. Second, a half year ago, I started to postpone the money to start a business on Amazon, I wanted to start selling stupid stuff, with no value as for me, I made different research and other stuff (the first reason I began to think about my own business was I hate my work, I'm a video editor, no strange, because if you do not have a dream, to save some dollars). 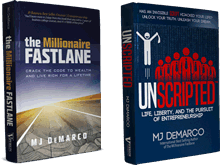 After reading amazing books @MJ DeMarco I realized that anyone can really do it like me for sure I can improve some stuff and make them more valuable like many Amazon sellers. I'm studying at university rest time I work as a video editor and looking for different information about online business, read books, I don`t spend time on walks or friends. But every day when I woke up I know that I miss something, I make something wrong. What about my programming skills, I know java, c #, but this knowledge is so general. Perhaps you could use your current skills (or better yet, combine them) to provide value to others. Do you do freelance video editing? Maybe someone you know (or someone they know) needs your skills. Could you teach others how to use certain software (maybe a crash course on Final Cut Pro X)? You could teach them shortcuts, or what you would have loved to know when you first got started editing/programming/etc. Could you combine your programming skills and video editing skills in some way? SaaS model? Of course, these are just my spitballed examples, though they might be ways to get started in creating value. Do your due diligence, pick what seems to be the best path with your current understanding/knowledge, and then TAKE ACTION. As MJ says, "Act, Assess, Adjust." Thank you so much for your advices and time, they are really valuable.